In the interest of fairness we will not censor the above comment, besides that is what Dave deserves for bringing sports into the show. If that gets out of hand action will be taken though! Osprey publishing has a " Axis Cavalry in World War 2". Keep up the good work and clink and drink. Happy New Year guys! Look forward to listening to the new podcast on the bus tomorrow. I've made the 2 Half Squads Podcast. Mark another one off the bucket list! Thanks for the tip, Baronzemo. We'll look it up. Joe, we trust you have a very long list and are working your way up from the bottom. May you spend many, many years working on it. Your cavalry episode has gotten me interested in playing some cavalry scenarios. Good job. 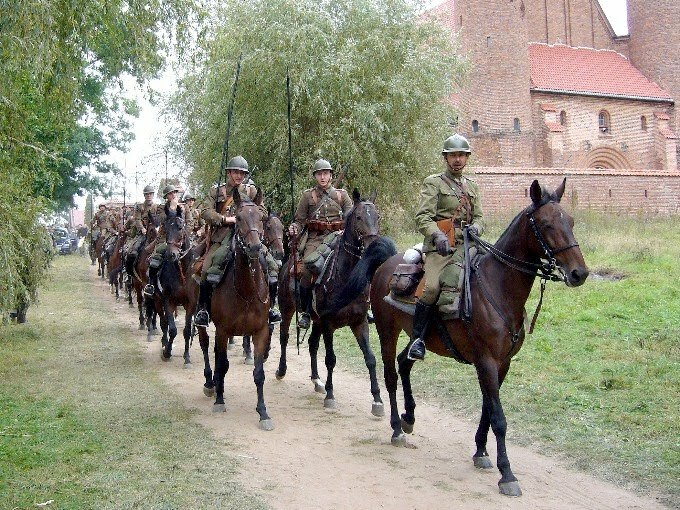 It's interesting that Wall/Hedge TEM is NA to cavalry. The ladies did a great job with "Favorite Things". Keep up the great work. My son (10) and I play SK, and I finally played a full ASL scenario at P.J. Norton's Museumfest in Detroit last year. It was a lot of fun. Everyone at the event was really nice - good group of guys. On a separate note, I want to comment regarding Starter Kit critics: Do they care whether or not new players get into ASL? If the answer is yes, then the next question is either: a) Did they have the advantage of learning full ASL via SL’s Programmed Instruction approach? or b) Did they have the advantage of learning full ASL with a veteran player? For someone just starting out, the ASLRB is not rookie-friendly. About 13 years ago, a friend and I bought the ASLRB and BV, but we could not wade through the rulebook and gave up in spite of the fact that we were both motivated to learn the game (as teenagers, both of us had seen Squad Leader on the shelf in bookstores and thought, "That game looks very cool!" But had never picked it up.) We knew nothing about Paratrooper, nor anyone who played ASL, and we knew nothing about VASL. We gave up. How many people have done just that: looked at ASL, thought, "Man, that looks like a sweet game! ", but then gave up in frustration due to the very steep learning curve presented by the ASLRB? Eventually, my friend moved and I ended up selling the ASLRB and BV on eBay. A few years later, I got the itch again to try learning ASL. So, I purchased original Squad Leader and started playing through the scenarios using the Programmed Instruction approach. What a blast! I was hooked. I re-purchased the ASLRB and BV, but again ... I got stuck on the overwhelming immensity of the rules, and without a practical means of being able to sort out what was essential to basic play versus unnecessary chrome for initial scenarios, I gave up. Then I my wife gave me Starter Kit #1 for Christmas. I read the rules and started playing a solitaire game of SK1 to practice the game mechanics. My son (who was about 1 week shy of turning 8 years old) asked me, "Hey, Daddy whatcha doin'?" I answered his questions, thought he'd get bored and move on to something else. However, an hour and a half later following question after question (he is an amazingly quick learner with a penchant for crunching numbers) he started playing his first SK game. We would never have gotten hooked on ASL without the Starter Kits. My other two boys (now 7 and 8) have also taken a shot at playing an SK1 scenario. So, there are 4 up-and-coming ASLers in our household thanks to the Starter Kit series. How many new recruits have the anti-SK crowd enlisted? Hundreds? Thousands? How many more could they hook on full ASL via the Starter Kit system? The next time you hear someone knocking Perry Cocke, and MMP, for the time and effort they have put into developing Starter Kit, tell 'em to put a sock in it. Starter Kit is recruiting many new people into full ASL. There are hundreds of new people getting hooked on ASL because of the Starter Kits above and beyond those who have been recruited in face to face play by veteran ASLers. Starter Kit makes ASL accessible to someone who has no other means of being lured into the hobby. The old grognards will need new players when the first generation players (unfortunately, but inevitably) begin to dwindle due to the natural attrition of the life cycle. Roll low and rally well, but not when you're playing anyone in my household's half squad!